Children should see the dentist for the first time by the age of 1. After that, a check-up every 6 months is recommended. What will happen at their first dental appointment? The first dental appointment is an opportunity for us to get to know you and your child and to help your child feel comfortable in a new environment. 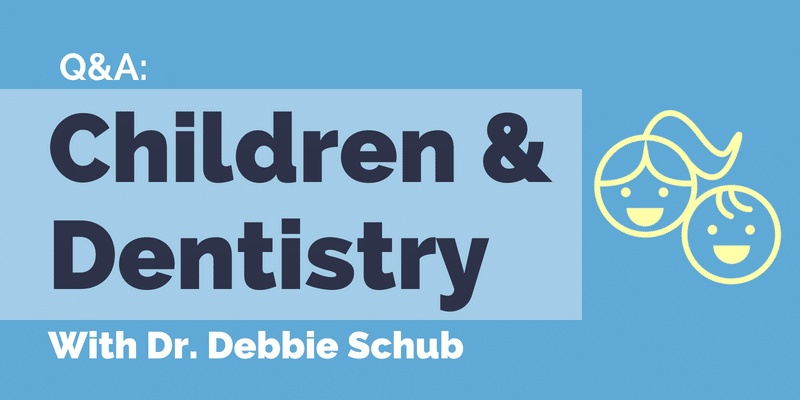 We’ll clean and examine your child’s teeth and talk to you about how best to care for them at home. We will also make sure your child has a positive experience at CPW Dentistry – and that, of course, includes getting some prizes at the end of the visit. When your baby does not yet have teeth you can wipe their mouth with a damp washcloth, making sure you wipe the gums, roof of the mouth, and tongue. Once the first tooth appears, it’s time to begin brushing twice a day. You can start by using a finger brush, or you can use a children’s toothbrush. You should use a “smear amount” of fluoridated toothpaste for children 2 and younger, and a pea-sized amount for children age 3-6. Children under the age of 7 are too young to brush properly, so make sure you are brushing for your child. We also recommend flossing, and we will review this technique with you at your child’s check-up visits. Dental sealants are protective coatings that are applied to the back teeth to protect them from cavities. They are white/tooth colored, painless, and involve no injections or drilling. They are often recommended at the time your child’s adult back teeth erupt into the mouth. My child plays sports. How can I protect his/her teeth? What should I do if my child knocks out an adult tooth? Remain calm and try to find the tooth. If the tooth has been knocked out completely and is relatively clean you can try to re-insert the tooth into the socket and then come to the office immediately. Otherwise, place the tooth in a glass of milk and bring it and your child to CPW immediately. I put my baby to bed with a bottle. Is this okay? Bottles that accompany your baby to bed should contain only water. The sugar in the juice or milk in the bottle that your baby sleeps with can cause a lot of cavities so it is an absolute must that your baby only has water in their nighttime bottle. Is this a new pediatric dentist that has been added to the practice?